Betty Ann Davis Creamer, 64, of 162 Clintonville Rd., North Haven, died March 31 at the Arden House Care & Rehabilitation in Hamden. She was the wife of 27 years to George Creamer, Sr. Betty was born in New Haven on Aug. 25, 1947, daughter of the late Howard L. and Margaret A. Mansfield Davis. A 1966 graduate of North Haven High School, Betty had worked for the former First National Store in North Haven, Kmart and Barker’s Department Stores of Wallingford, and the O.F. Mossberg Company until her retirement. She was also a member and past master of the North Haven Grange No. 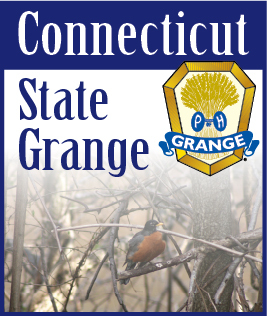 35 and was a member of the state and national Grange. In addition, she was a member of New Haven County Pomona Grange No. 5 and the Northeast Volunteer Fire Department Ladies Auxiliary. Betty loved being a member of St. John’s Episcopal Church, where she had taught Sunday school in the past. She also enjoyed crocheting, was a UCONN Ladies Basketball fan, and enjoyed her trips to Maine with her husband and son. She will be greatly missed. Besides her husband, she is survived by her son, George Creamer, Jr. She is also survived by cousins and a host of friends.